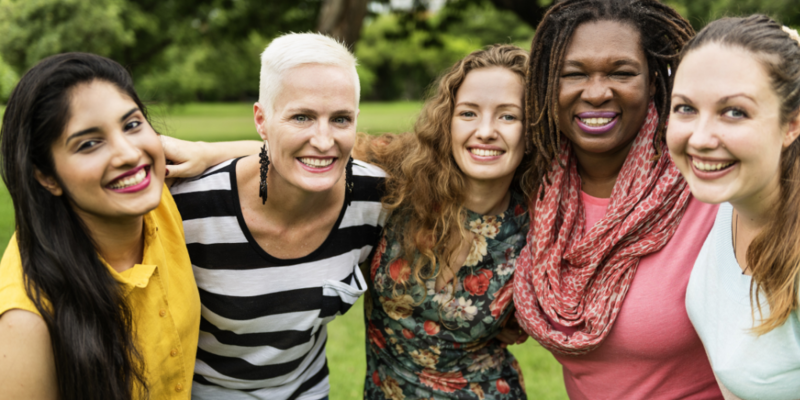 The Community Foundation for Lancashire is delighted to announce the launch of the new Lancashire Women’s Fund after its national membership body, UK Community Foundations (UKCF), secured a record £3.4 million award from the DCMS Tampon Scheme*. This is the largest grant awarded to any organisation from this fund. The Community Foundation for Lancashire will receive in excess of £70,000 from this allocation to enable the launch of the new Lancashire Women’s Fund and ultimately aims to raise £1 million to help support local women. The Community Foundation for Lancashire helps people and organisations to invest in local communities where it is most needed and where it will have the greatest impact. The Women’s Fund will award grants to local groups working with women and girls, including women-only charities to help women throughout Lancashire. A recent study, commissioned by the Community Foundation for Lancashire, reveals that there are a number of key issues affecting women and girls in the county, which include confidence, aspiration, self-belief and resilience, mental wellbeing, social isolation and domestic violence and abuse. In welcoming this new initiative, the Community Foundation for Lancashire’s Chief Executive, Rae Brooke, commented on the need to launch a specific fund due to significant cuts in local resources in recent years meaning many women have been left unable to access crucial support. 37% of women’s groups recently consulted in Lancashire believe their sustainability in the next three years is questionable. “Similar women-only funds are already in existence in the North East, Scotland and USA and have delivered real impact for women in their communities. We want women to feel safe, supported, empowered and confident when confronted by abuse, discrimination and a lack of opportunities,” Ms Brooke said. “By highlighting key issues and difficulties facing girls and women in Lancashire, we can encourage others to support meeting the need. We hope sharing these findings amplifies the message. We want to equip girls and women in Lancashire with adequate resources to allow them to flourish,” she concluded. Local grassroots organisations will be able to apply for grants of between £5,000 and £10,000. Anyone who is interested in applying for funding, or who feel they are part of an organisation which may benefit from an award under the scheme, is urged to apply. Applications will be open on 17th September 2018 and close by 5th November 2018.